Malaysia's in-depth experience and solid fundamentals in Islamic finance developed over 30 years, coupled with its strength in the domestic sukuk market, offers strong exciting value propositions to government agencies, multinational corporations and multilateral development banks/ financial institutions across the world to originate sukuk out of Malaysia. Deemed approval granted to sovereigns, quasi-sovereigns, Multilateral Development Banks (MDBs) and Multilateral Financial Institutions (MFIs) rated "AAA". 14 working days to foreign Multi-National Corporations (MNCs) and foreign corporations. Deemed approval granted to sovereigns, quasi-sovereigns, MDBs and MFIs rated "BBB" on foreign rating scale. Governing laws of Malaysia, England or United States may be used for bond documentation. Both resident and non-resident issuers are free to utilise proceeds from the issuance onshore and offshore. The issuers are also free to hedge to the full amount of the underlying commitment. Malaysia's facilitative environment encompasses a sound infrastructure platform, consisting of the Electronic Trading Platform (ETP) and the Real-time Electronic Transfer of Funds and Securities (RENTAS) system. These systems allow for an efficient platform for the trading of bonds, with a high level of post-trade transparency and market liquidity. For global investments, flexibility is also accorded for foreign investors to leverage on international clearing and settlement systems. Malaysia has an active secondary market, which gives investors the option to either hold sukuk investments until maturity or to take profit. The secondary market enables greater trading activity and attracts more investors including foreign-owned corporations, who are continuously tapping the market for funding. This eventually augments the depth and liquidity of the sukuk market. Investors will benefit from the wide array and increasing size of sukuk transactions as they look towards diversifying their asset portfolios. In this aspect, Malaysia offers well-developed value propositions, which enables a dynamic scenario that benefits both issuers and investors. Malaysia, with its strategic location serves as a link between the East and West. The country is well-positioned to facilitate cross flow of funds and greater economic linkages between South East Asia and the Middle East. Foreign players who wish to seize the opportunity of these largely untapped and fast growing markets will find Malaysia an excellent gateway for this purpose. 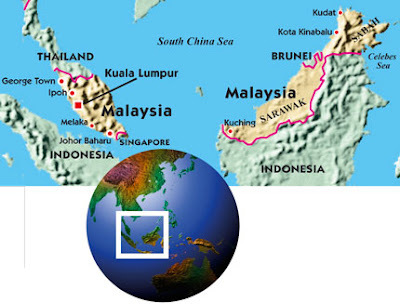 As the economies of these regions continue expanding, Malaysia is expected to play a pivotal role as a regional financial hub and gateway, particularly for transnational investments and the sourcing of funds. Through its various global economic inter linkages, Malaysia provides financial institutions with access to the financial pipelines of the region to tap surplus funds and the wealth of high net worth investors. Malaysia's liberalised foreign exchange administration rules enhance Malaysia's competitiveness and business efficiency, while promoting financial and economic stability. The relaxation in rulings was made in tandem with the readiness of the Malaysian economy to support the country's growth and competitiveness, whilst creating a conducive business environment for international financial institutions. Apart from enhancing Malaysia's competitiveness and business efficiency, the liberal FEA rules enables greater trade in foreign currencies. With regards to sukuk issuances, the relaxed FEA rules enable foreign entities to raise ringgit and foreign currency-denominated funds from Malaysia. The international issuers can issue multi-currency sukuk and have the flexibility to swap domestic currency funding into other currencies. Tax neutrality has been accorded to Islamic finance instruments and transactions executed to fulfill Shariah requirements. There is no additional stamp duty and tax payment incurred in the usage of Islamic products. Malaysia's tax neutrality framework is to promote level playing field between conventional and Islamic financial products. Tax neutrality reduces the cost of doing business in Islamic finance, thereby contributing to the overall competitiveness and spurs the development of Islamic finance. Malaysia's diversity of market intermediaries consists of investment banks, local and foreign Islamic banks, brokers and fund managers who engage in a number of activities ranging from underwriting complex financial transactions to advising on sophisticated transaction structures. Most of these intermediaries have participated in Malaysia's many notable sukuk issuances. As such, they possess a proven track record and in-depth experience. Capitalising on the inherent strengths of Malaysia's intermediaries enables issuers to benefit from a smoother issuance process while reducing costs. The reputation of these intermediaries adds further credibility to the issuance. Malaysia's market intermediaries are also internationally recognised for their innovative capability in structuring sukuk. This is attributed to their expert use of various Islamic principles or a combination of principles to produce truly customised sukuk offerings. Malaysia's legal framework caters for Islamic finance matters. There is a dedicated judge at the High Court level for Islamic finance matters. The Kuala Lumpur Regional Centre for Arbitration has specific capabilities to deal with Islamic contract matters. This legal framework enables the enforceability of Shariah-based contracts for Islamic finance while providing governance and legal redress for Islamic financial institutions. It also provides for strong investor protection. In particular, the Capital Market Services Act 2007 (CMSA) defines the parameters for permitted capital market activities in Malaysia, while reinforcing the protection framework and promoting international best practices among financial institutions. These and other such regulatory guidelines have been instrumental in providing industry consistency and clarity for the Islamic Capital Market (ICM) in Malaysia. In addition, Malaysia's regulatory guidelines have also set benchmarks for other countries in developing their own Islamic Capital Markets (ICM). The legal and regulatory framework is constantly reviewed taking into consideration latest market, products and Shariah issues to ensure continuous development in the ICM. The Securities Commission Malaysia (SC) has established a Shariah Advisory Council (SAC) to advise the SC on issues related to the Islamic Capital Market (ICM) to ensure consistency with Islamic principles. The approach was taken, by recognising the importance of Shariah compliance in the Islamic financial system, which possesses distinctive characteristics when compared to the conventional system.